In this unique solo guitar recording, Rob Levit has created a sonic environment that is peaceful, accessible, and contemplative. The CD is now in its second printing and is Rob's most popular album to date! Great music for a great cause. 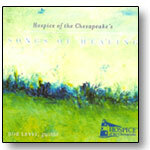 1500 copies distributed to friends, families and employees of Hospice of the Chesapeake. In this dynamic one hour spoken word and music presentation, you will learn about the spiritual basis of creativity, eight easy activities that you can engage in to bring creativity to your daily life, and how to learn and teach effectively. 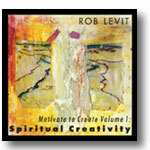 Award-winning musician, artist, and speaker Rob Levit combines timeless spiritual wisdom, personal anecdotes, and practical advice that will leave you feeling inspired and motivated to create! "...you remember, from just this little part, how lovely was the song, how wonderful the setting where you heard it, and how you loved those who were there and listened with you." "Life is an uncertain path..."
Rob Levit, in a radical departure from his jazz roots, explores the relationship between sound and the visual arts. "The Key features a colorful and aromatic bouqet of songs with words and music by cowriter/guitarist/violinist Robin Jung in lush, intricate arrangement by cowriter/conductor Rob Levit... The supporting cast of musicians is stellar, including Max Murray (Tom Lagana Group) and Mark Schatz (Tim O'Brien, Bela Fleck) alternating on bass, and Frank Russo on drums." Experimental Groove Fusion with Jonesy on bass and Kirby on drums. Part James Brown, part King Crimson, part space jam. Featuring flutist Nancy Stagnitta, Meritage features Rob's original compositions seamlessly fusing jazz, world, and classical influences through improvisation. Organic Tangerine Dream and Fusion. Soundscapes featuring Marimba. 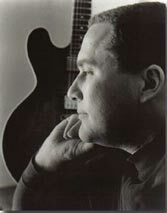 A collection of contemporary standards not watered-down like smooth jazz but turned into full-fledged tunes for improv. Melodic and accessible. Adventurous space rock featuring exotic percussion, fuzzy guitars, Middle Eastern jams, and odd guitar tones and textures. With Todd Harrison (drums) and John Pineda (bass). A total act of studio improv! Completed in a fit of creative rage this solo CD features Rob processing feedback, loops, spoken word into a complete sonic landscape. All selections on this recording, with the exception of "Thanksgiving", are freely improvised vignettes involving little to no discussion or preplanning. We have tried to present this music as spontaneous and true to the spirit of improvisation as possible. We hope you enjoy "Shadowmusic". Ben Kono : oboe, clarinet, flute, bamboo flutes, reeds. What happens when three friends get together on two afternoons in Annapolis to create some jazz? The result is SNAPSHOT, an informal and intimate portrait of a trio. Newly Reissued on Symbol System. Fifty-two short pieces with Rob's acoustic guitar and other assorted instruments including marimba, oboe, oscillator, and percussion. Rob is joined by musicians from disciplines as diverse as chamber music and experimental rock yet the fragments knit themselves into a bold, cohesive, startling, totally unexpected musical statement. Featuring the stunningly lyrical saxophone of Chris Cheek (Paul Motian Electic Bebop Band),the Rob Levit Group navigates through ten complex originals touching on extended structures, minimalism, bebop, and free jazz along the way. Recorded shortly after a band residency at the University of Virginia, Afterimage features the award-winning composition Rubicon. A journey into odd-meters, boisterous romps, and quiet lyricism. Rob Levit's debut as a leader. This is the record responsible for a critically-acclaimed performance at the 1995 Boston Globe Jazz Festival. It features two of the finest unheralded musicians on the planet, flutist Michel Gentile and bassist Bob Nieske (long-time sideman to Jimmy Giuffre).